Voltage: Voltage is how much energy is between two points on a circuit. These two points have different charges, one is higher and the other is lower. The difference between these two points of the charge is how we measure the voltage. Current: Current is how fast the charge is flowing. The higher the charge, the faster the current. Current has to do with electrons flowing in a circuit. Current measures how fast the electrons go. The unit of the current is “ampere,” and usually, a person writes it as “amps”. The letter “I” can represent as current. Resistance: Resistance is how much the circuit resists the flow of the charge. This makes sure the charge does not flow too fast and damage the components. In a circuit, a light bulb can be a resistor. If electrons flow through the light bulb, then the light bulb will light up. If the resistance is high, then the lamp will be dimmer. The unit of resistance is “Ω”, which is called omega, and pronounced “ohm”, it is the name of the inventor of Ohm’s law. 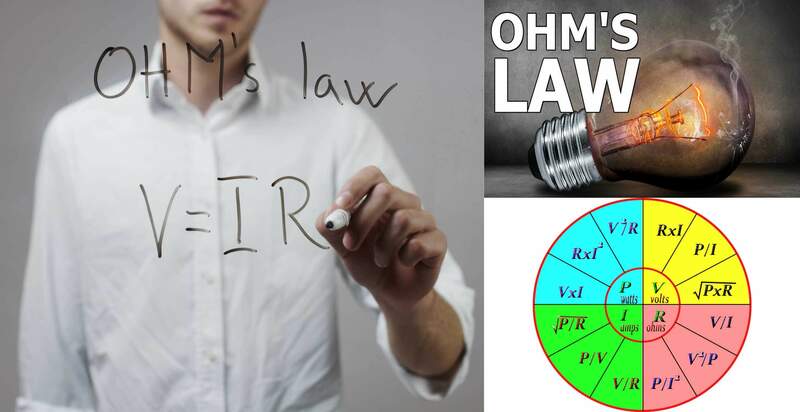 Ohm’s Law says that in an electrical circuit, the current passing through a resistor between two points, is related to the voltage difference between the two points, and are related to the electrical resistance between the two points.